Priyanka rejoices that finally her big day has come. She gets ready as the bride. Shivay gets emotional seeing her. She asks him to console himself and not cry after she goes. Shivay surprises her by hugging her. Omkara and Rudra get a shock seeing Shivay’s proper hug. They wonder if this is any dream. Obros have emotional moment with Priyanka. Obros take selfie with their beloved sister and takes her to the mandap. Priyanka meets her groom Daksh. The dream wedding finally gets a kick start. Daksh gets happy to be close to his motives of becoming Oberois’ son-in-law. Tia assures Shivay that Daksh will keep Priyanka happy forever. He tells her that Daksh has no option than to keep Priyanka happy. He doesn’t want Daksh to hurt Priyanka ever. Dadi guides Shivay to perform the rituals. Shivay gets to hear some sound from the basement. Anika doesn’t see him. She fails to take help from him. Till she shouts out to him, he makes a leave. He still leaves a weapon to help them unknowingly. Anika feels he is the angel who has helped them. Anika encourages Payal to stay strong and try to free herself. They both succeed to untie themselves and rush out of the basement. Anika tells Payal that the marriage rituals have begun, they have to rush and stop the marriage before Daksh ruins Priyanka’s life. Anika and Payal reach the house when Daksh and Priyanka start taking the wedding rounds. Payal tells Anika that they will expose Daksh in front of everyone. Anika stops Payal and tells her that they can’t take any step randomly, as this can ruin Priyanka’s respect too. She doesn’t want people to blame Priyanka for the marriage breaking. Daksh and Priyanka proceed with the rituals. Anika and Payal find a way to threaten Daksh by revealing their presence to him. Daksh gets scared seeing them. He stops taking the rounds, while the family asks him to proceed. Daksh gets helpless seeing his truth surfacing. Priyanka asks him the matter. Anika gets threatening him. Daksh does a drama of sickness to leave from the mandap. He faints down and is rushed to the room. Pandit asks Priyanka not to leave the mandap, and wait for Daksh to return. 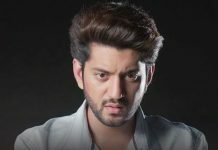 Shivay asks Omkara to call the doctor fast. He goes to pacify Priyanka. Daksh runs away when Shivay leaves him alone in the room. 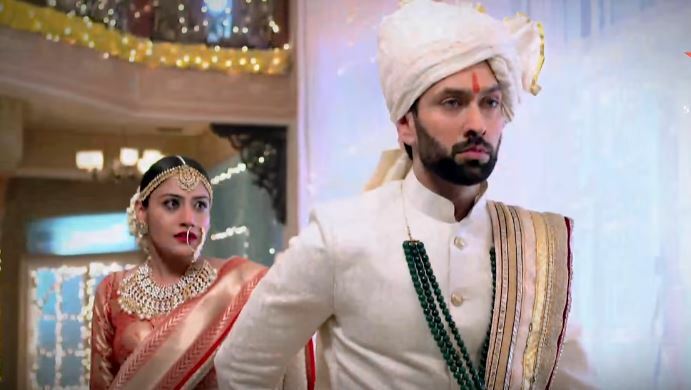 Shivay tells Priyanka that Daksh will get fine. Anika realizes Daksh has fled. Shivay gets informed that Daksh has disappeared. Rudra wonders if Daksh has run away. The family gets in pressure that the groom has run away and left the marriage midway. Priyanka feels disheartened. Anika thinks she has saved Priyanka’s life. Priyanka loses her mind and goes in search of Daksh. Shivay feels her life got ruined. He follows Priyanka, who goes crazy to find Daksh. She meets with a fatal accident, which leaves Shivay shattered.